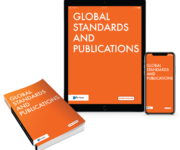 Van Haren Publishing publishes best practices and standards in the fields of IT & IT Management, Enterprise Architecture, Business Management and Project Management. We are able to distribute publications world-wide by using our extensive international network of distribution partners. Sharing information involves more than just publishing a book. Van Haren Publishing sees books as a rich source of knowledge, which can be shared in many different ways. For instance, via related articles, excerpts and supplementary training material. We do this by working closely with our authors and customers. You can now easily share knowledge with other professionals across the globe because all this supplementary content is now available for free online. Distribution: we have access to a comprehensive distribution network, which means our products are accessible worldwide. Publication: we manage the publishing process from start to finish. Licenses: anyone can (have) access (to) our products. However, you must possess a registered user license.